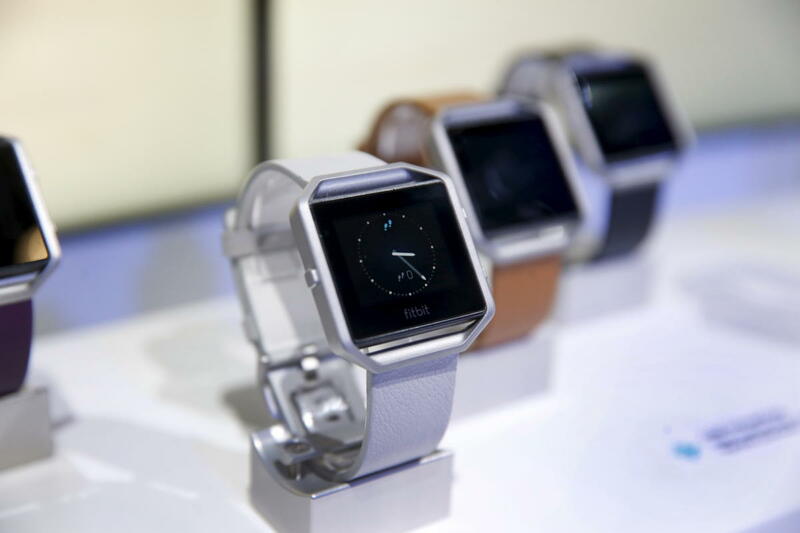 Though Fitbit shipped millions more devices than any other wearable maker in 2015, its lead over the competition shrunk significantly, according to new research, which also stressed fitness-tracker and smartwatch dominance over other wearable tech. Research firm IDC, released yesterday the latest edition of its "Worldwide Quarterly Wearable Device Tracker" report, and it suggests consumer appetites for fitness trackers and smartwatches increased dramatically during 2015. Specifically, IDC says wearable manufacturers shipped 78.1 million units last year, an increase of more than 170 percent over 2014's 28.8 million units shipped. Fitbit continued its reign as emperor of the wearable tech market in 2015 (with 26.9 percent market share), followed by Chinese company Xiaomi (15.4 percent), Apple (14.9 percent), Garmin (4.2 percent) and Samsung (4 percent), IDC says. However, though Fitbit shipped 93 percent more units in 2015 (21 million) than in 2014 (10.9 million), its lost 11 percent of the overall wearables market, down from about 38 percent share in 2014 to roughly 27 percent last year, according to the report. That loss can be directly attributed to the Apple Watch release during the second quarter of 2015, as well as the popularity of Xiaomi's affordable fitness bands bands, which cost as little as $15, much less than the cheapest Fitbit, at $60. Of course, "Wearable technology" is an extremely broad category that encompasses not only exercise trackers and smartwatches, but also just about any sort of sensor or gadget that consumers can wear or carry on their persons. (Ford apparently even thinks smartphones are wearables ...) So it's notable that though IDC says it included a variety of devices beyond trackers and watches in its report, all of the vendors identified as leaders in space make fitness trackers and smartwatches and few, if any, other wearables. Put another way, the report shows just how much of the wearable space is dominated by these two form factors, at least based on sales. "The wearables market isn't just about smartwatches and fitness bands," said Jitesh Ubrani, senior research analyst with IDC, in a press release. "Though the top 5 certainly dominate with wrist-worn devices, there's been an immense amount of growth in other form factors like clothing, footwear, and eyewear."